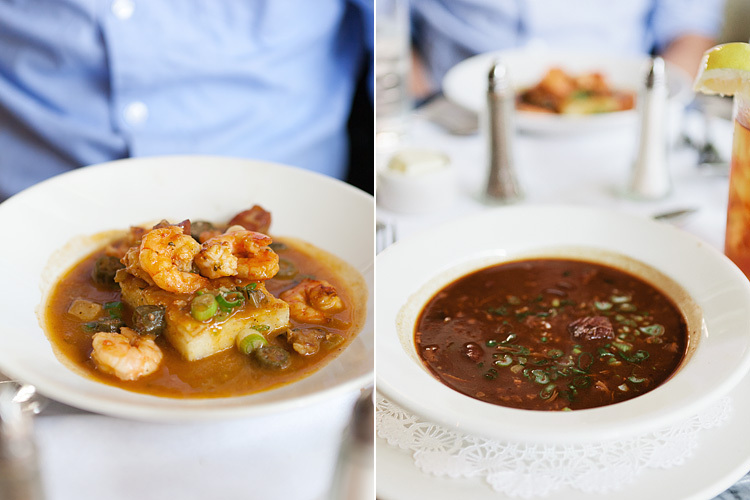 We took a fairly early flight to New Orleans in hopes of squeezing in as many meals as possible during our four-day trip. I was famished when we landed. 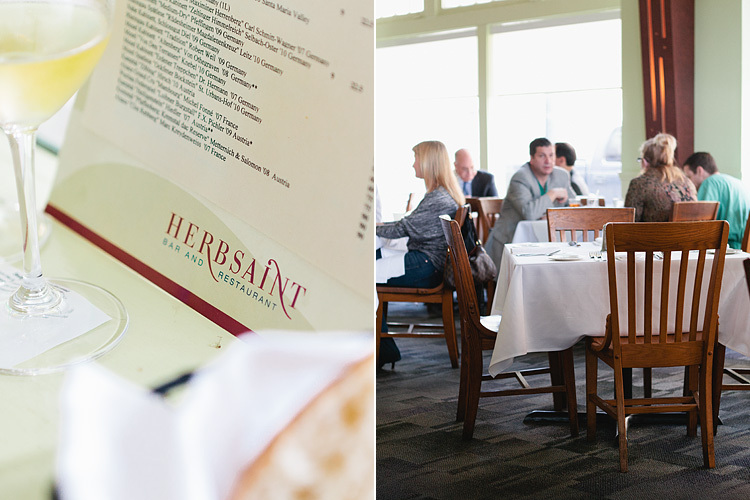 Our first stop (after dropping off our things in the French Quarter) was a lunch at Herbsaint. Judging by what others have written about the place, it seems like a pretty different atmosphere/restaurant at night. For lunch, it was very much a business lunch type place. One thing I can confidently say is that the bread anywhere (or at least everywhere we tried during our stay) is ridiculous. It's warm, pretty much already covered in butter or cheese or both, perfectly crusty on the outside and oh so soft on the inside. From low end to high end places, the bread was always fantastic. Here we didn't try anything crazy - just wanted to ease ourselves into the gluttonous days ahead. 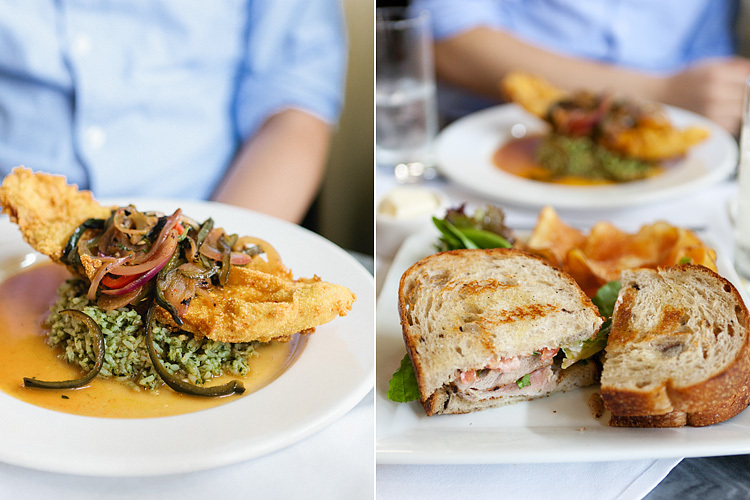 Pictured are shrimp and grits, gumbo of the day (chicken and andouille), fried catfish with green rice and chilies, and a grilled tuna sandwich (note, not tuna salad). Everything was delicious. After walking around after lunch and stuffing ourselves with beignets from Cafe Du Monde, we pretty much passed out until dinner time. Erm, food comas were a huge theme of this trip. Everything looks so delicious! Gorgeous shots :) sounds like you guys had a yummy time settling in, hehe! I would love to go to New Orleans one day. I am pretty sure we will end up with a similar food-coma theme there too. Can't wait to read more about your trip and see the food photos! This looks so delicious! I'm gonna be living (or eating) vicariously through you for the next few posts lol. I'm from new orleans and this is beautiful! These pictures look so beautiful :) Loving your work!